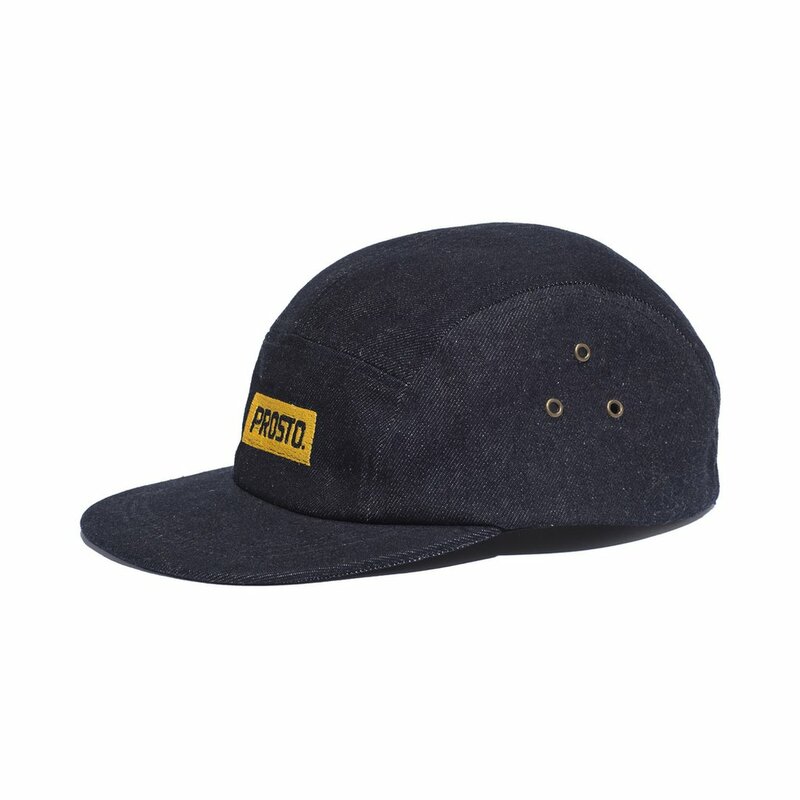 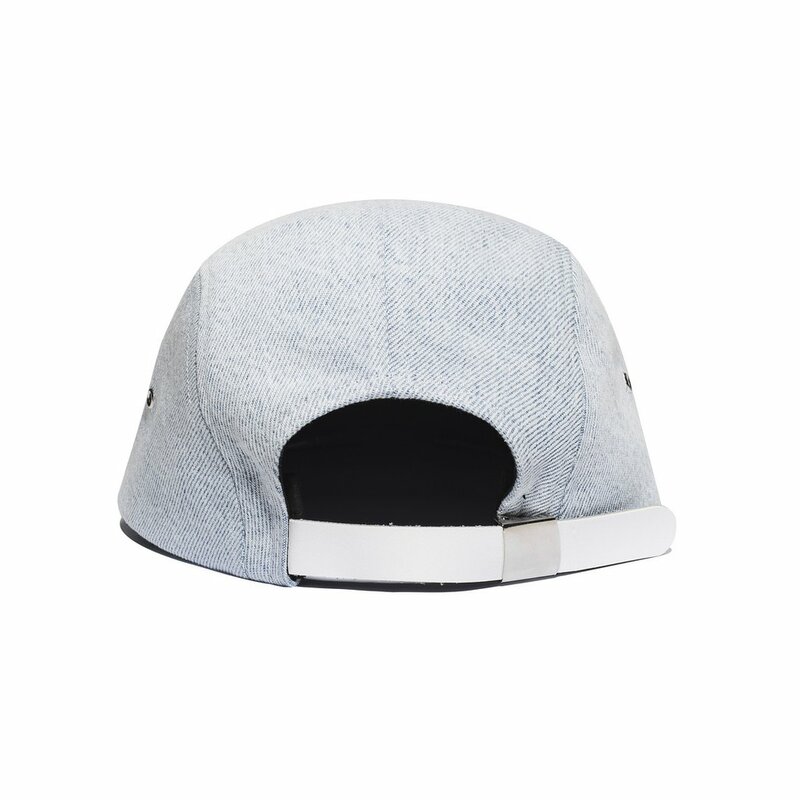 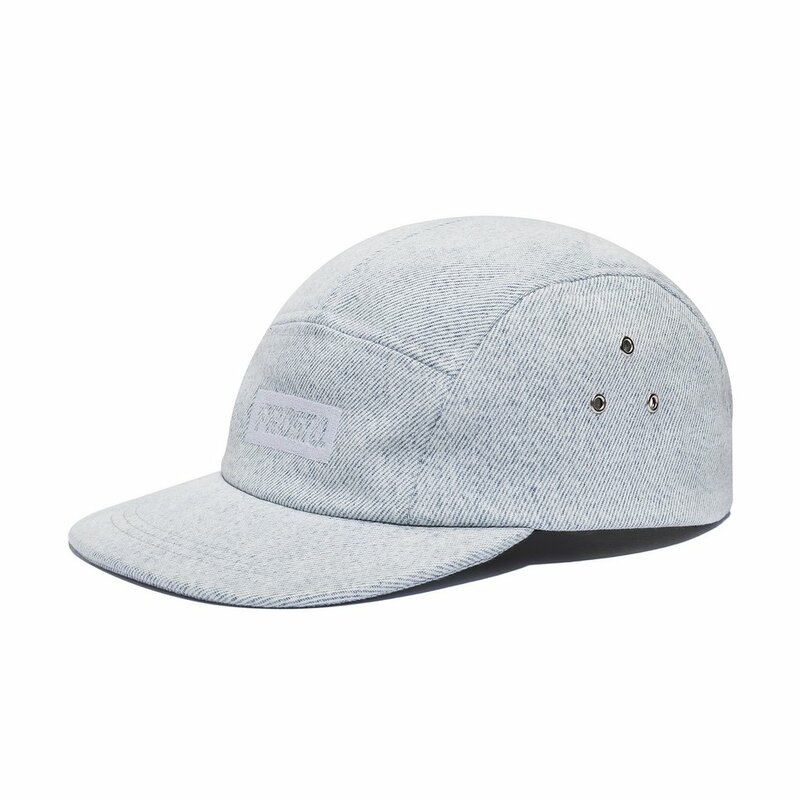 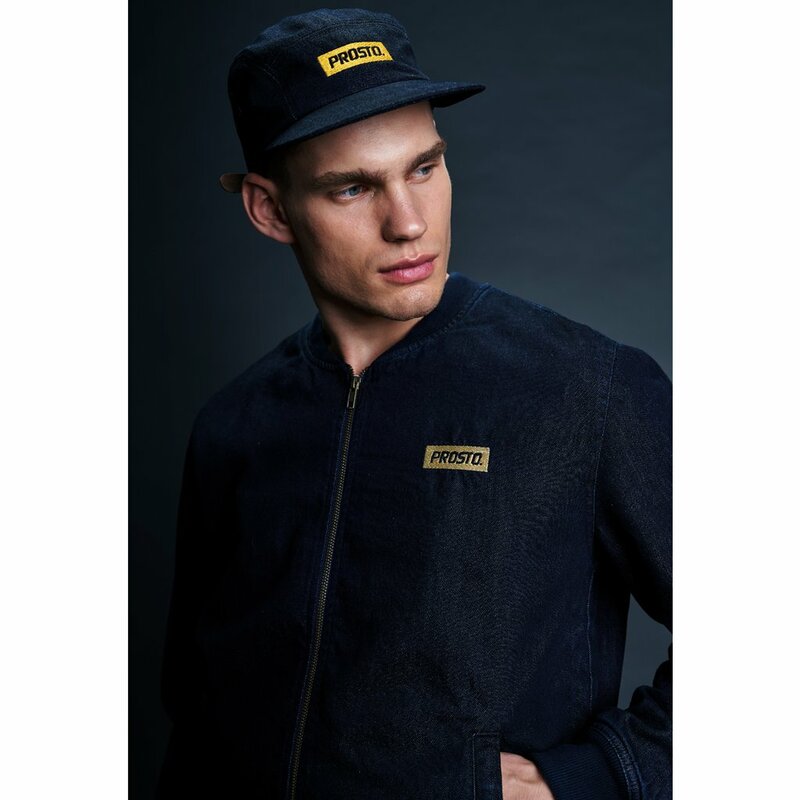 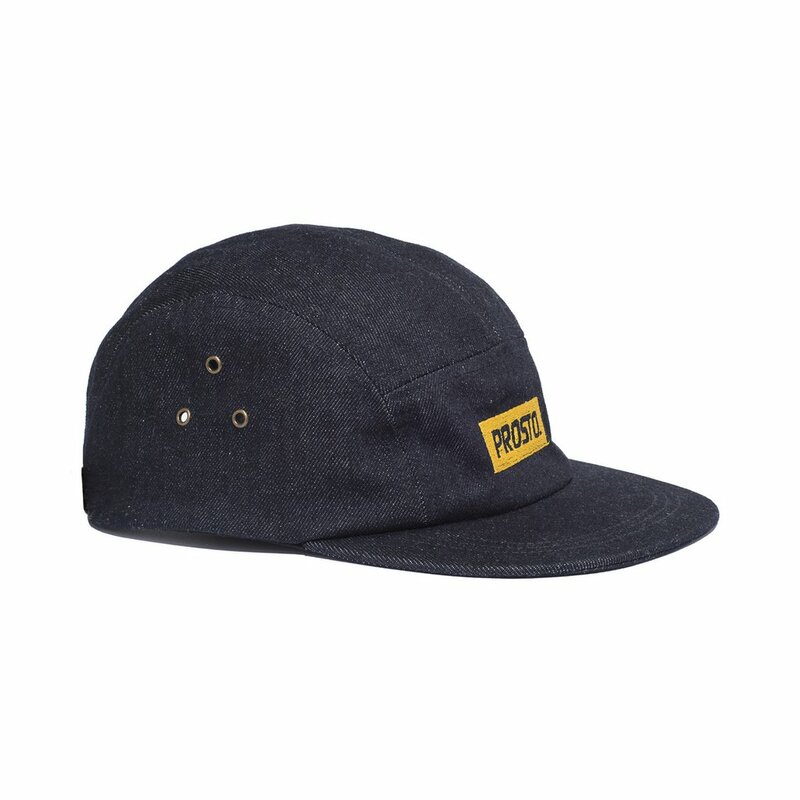 5-panel jean cap featuring embroidered logo on the front. 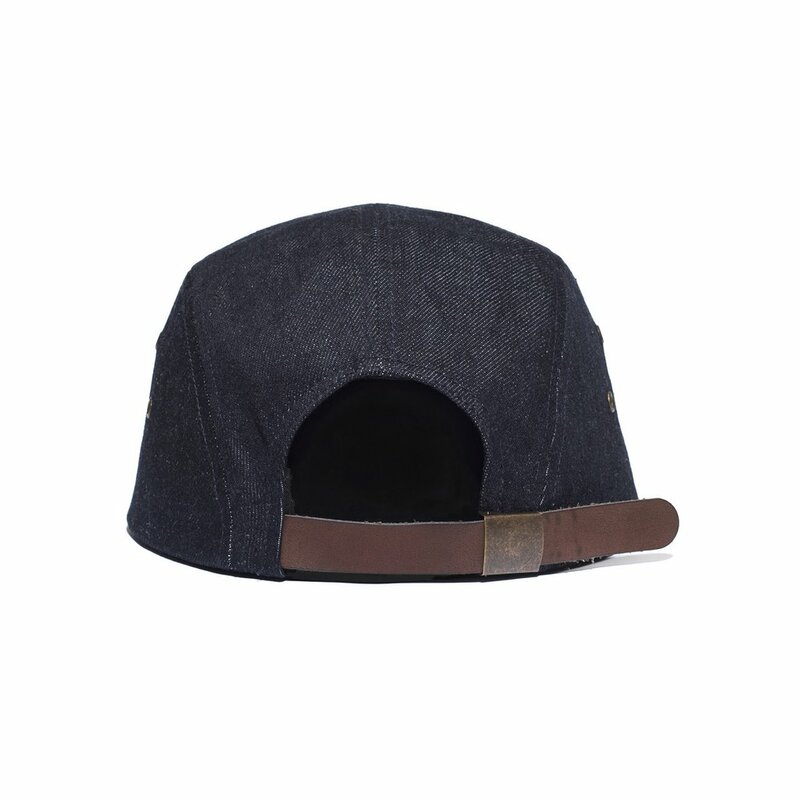 With adjustable leather strap and metal buckle. 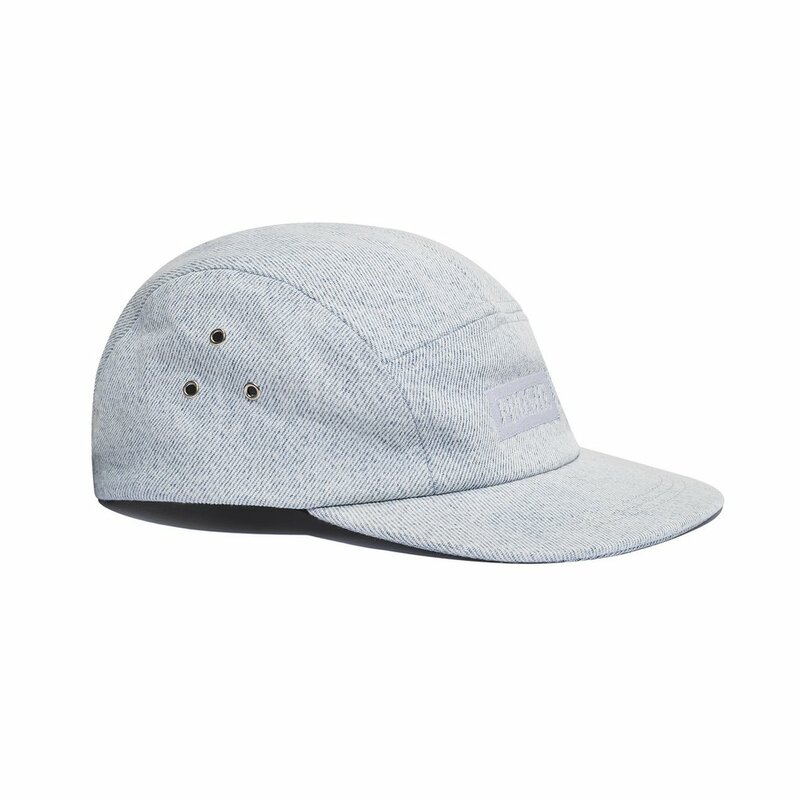 Small metal eyelets on both sides.